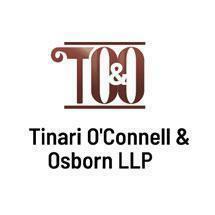 The law firm of Tinari, O'Connell, Osborn & Kaufman, LLP was founded in 1988 and is located in Central Islip, New York, providing a broad range of legal services throughout New York and the northeastern part of the country. Our firm is a full service law firm, representing and advising clients in the areas of criminal law and personal injury - plaintiffs. Our attorneys represent clients in every level of state and federal courts.